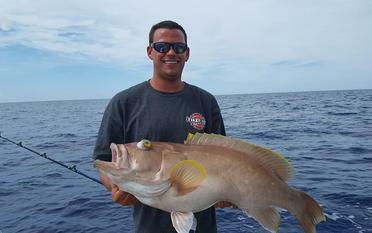 Deep Dropping Trips in Port Canaveral have been some of the more popular trips lately catching some really awesome deep water fish such as tile fish, yellowedge grouper, snowy grouper and other species. 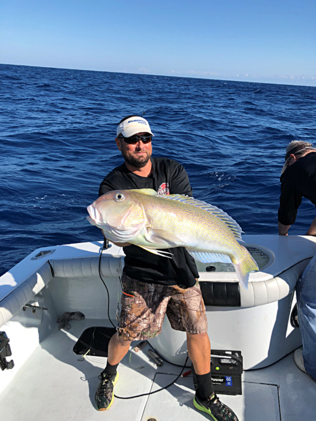 We travel between 30 and 55 miles to get to these fishing grounds and use electric heavy duty reels for this type of fishing. We can be in waters as deep at 700 feet. These are some of the best eating fish around. 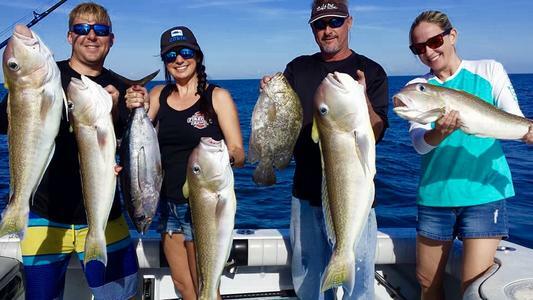 Book your private fishing trip on the number one deep fishing charter in Central Florida. Located on the Space Coast in Cape Canaveral near Orlando, Daytona, Melbourne, Cocoa Beach and Kissimmee.